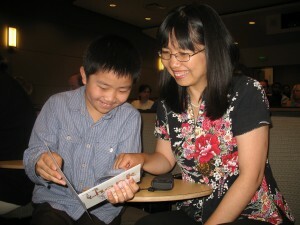 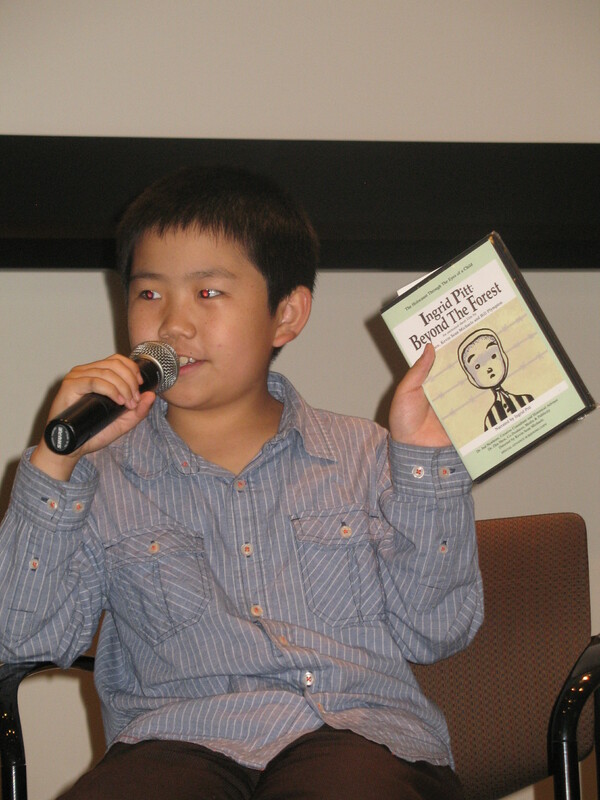 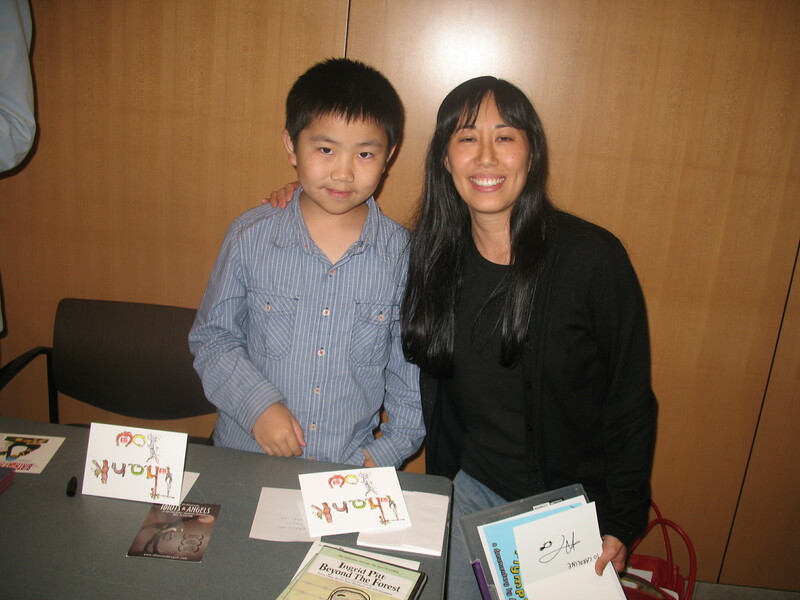 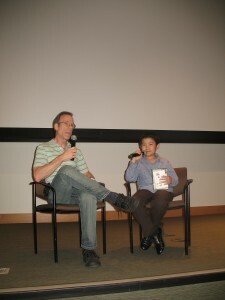 11-yr-old animator & film critic Perry Chen and his producer mom Zhu Shen attended a special ASIFA-Hollywood screening of their animation short “Ingrid Pitt: Beyond the Forest” about a young Holocaust survivor at Woodbury University in Burbank on July 28, 2011, following the successful premiere of the film at LA Shorts Fest and Comic-Con on July 23/24, 2011. 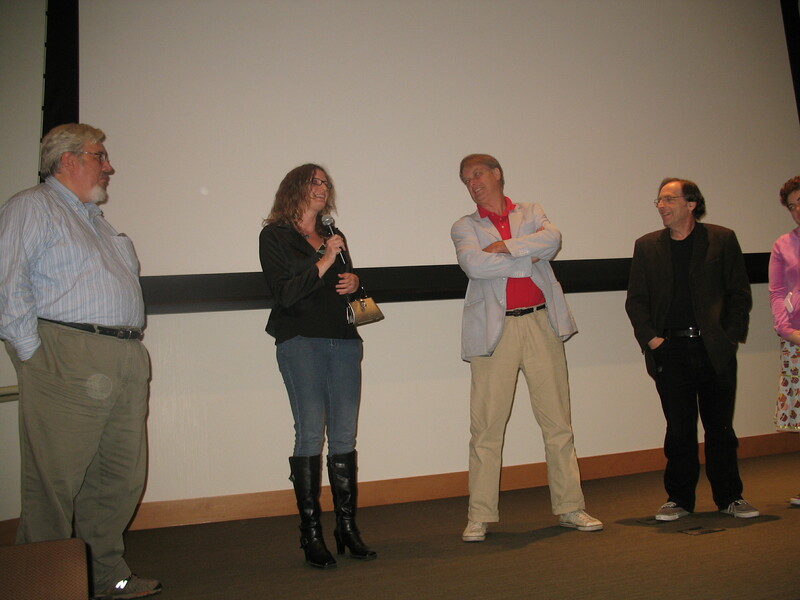 Perry’s collaborator, animation legend Bill Plympton’s documentary “Adventures in Plymptoons” was screened as well. Perry was introduced on stage by ASIFA Hollywood president Frank Gladstone for a Q&A before “Ingrid Pitt: Beyond the Forest” was screened. 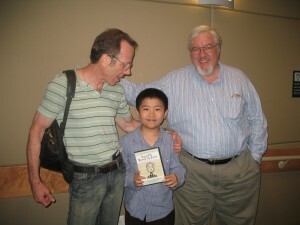 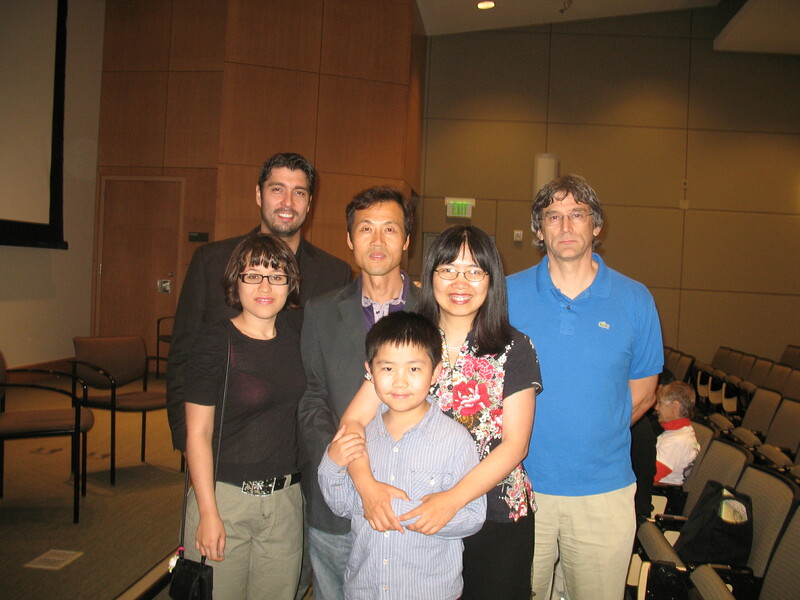 Perry and his parents met Frank in June 2011 before attending the Student Academy Awards. 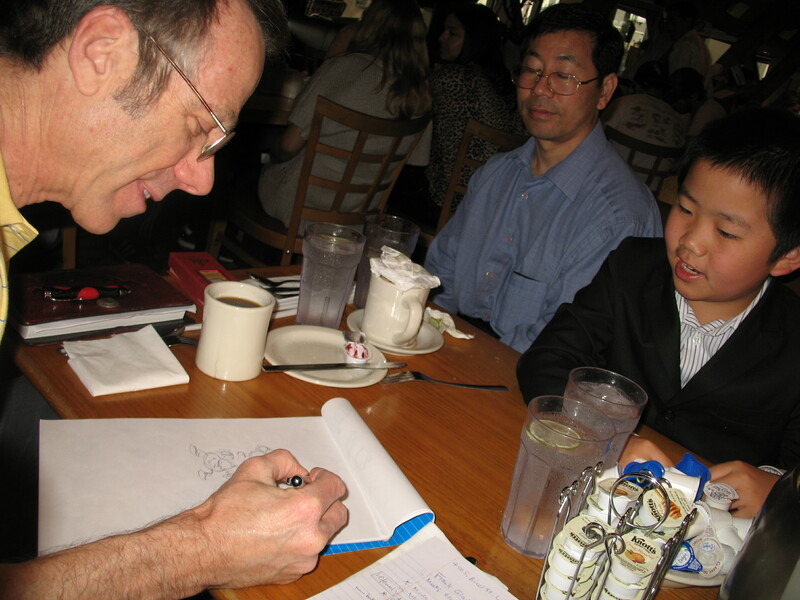 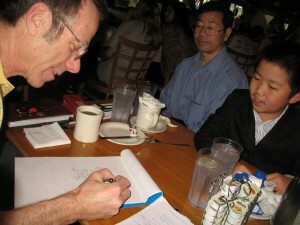 Frank has been an animator animator, producer, director, writer and teacher, and has worked for the feature animation divisions at Disney, Warner Bros. and DreamWorks among others. 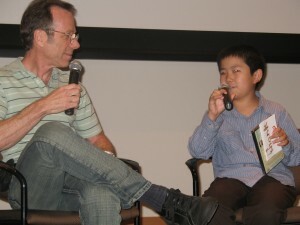 He is currently president of his own animation consulting firm, Gladstone Film, Inc. 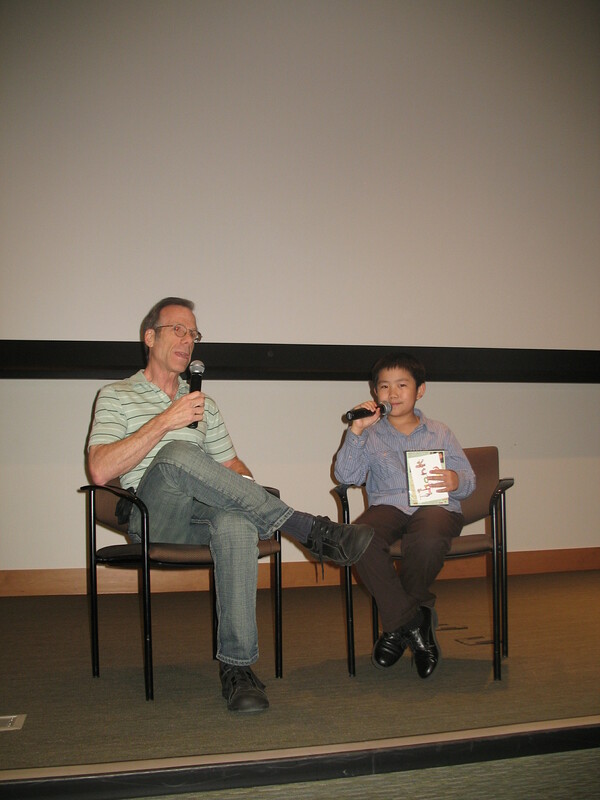 Many people who were featured in “Adventures in Plymptoons” attended the screening and appeared on stage with Bill Plympton for a lively Q&A with the audience. 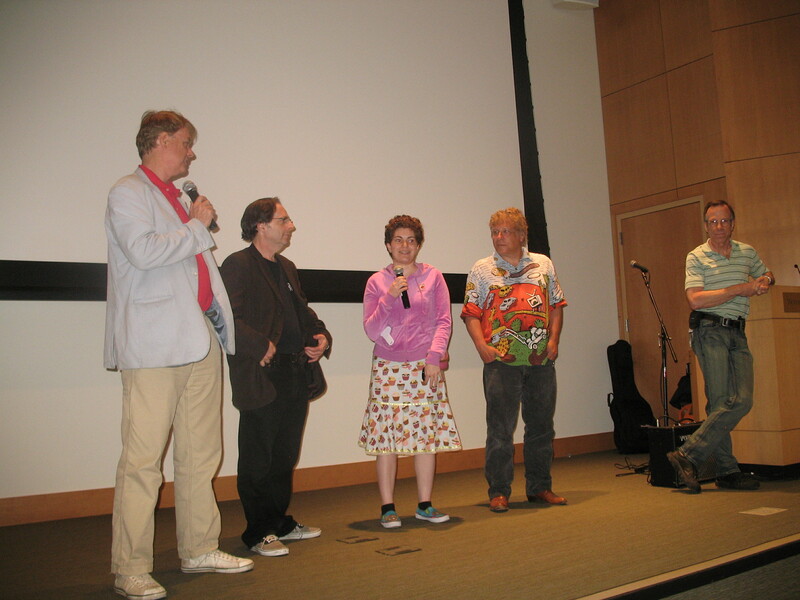 They are Tom Sito, Maureen Whelan, Jerry Beck, and the singer/composer Smokey Miles of the Bill Plympton theme song in the documentary. 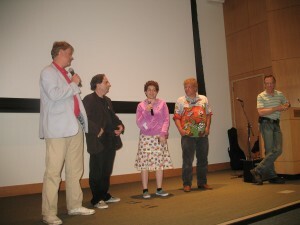 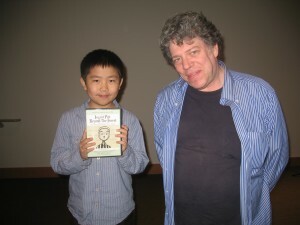 Perry and Zhu were delighted to see their friends at the screening, including Dani Bowman, a talented autistic teenage animator & artist, her uncle Patrick & aunt Sandy, the Korean director of the “Kimchee Warrior” animation series, Young Man Kang, who took many photos for Perry, and cartoon character Norky’s creator Steve Allgeier. Many new fans bought the Thank-You card with animals designed by Perry who autographed the cards. 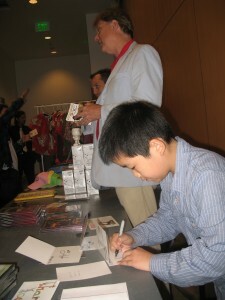 Bill Plympton did free drawings (dog or cow) for everyone who attended the screening. 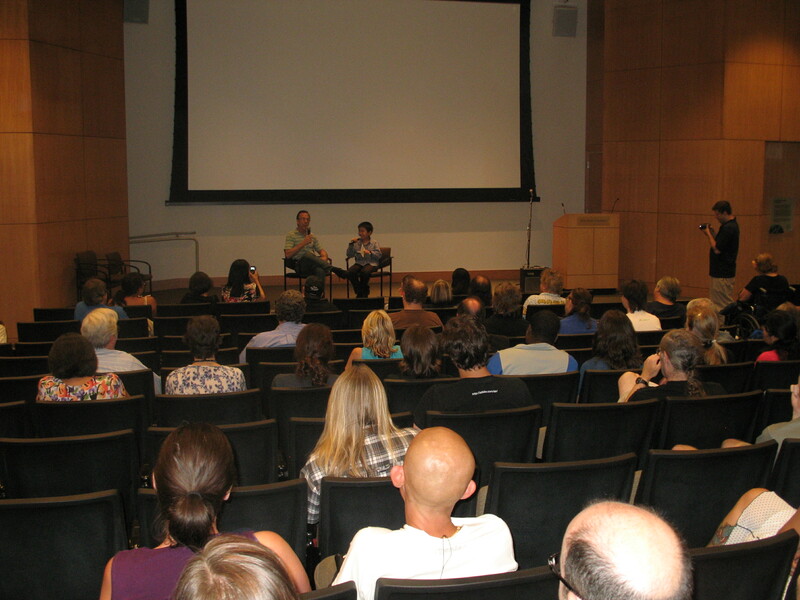 It was a lovely evening with a captive audience who are passionate about animation.